I watched the female baby Kestrel on the right get very excited as her dad (on left) flew in with a mouse for her breakfast. Here he is handing it over to her. There were 5 babies altogether, all fledged, keeping their parents very busy as they still all needed to be fed, as well as protected from the neighborhood great horned owl that had his eye on them. 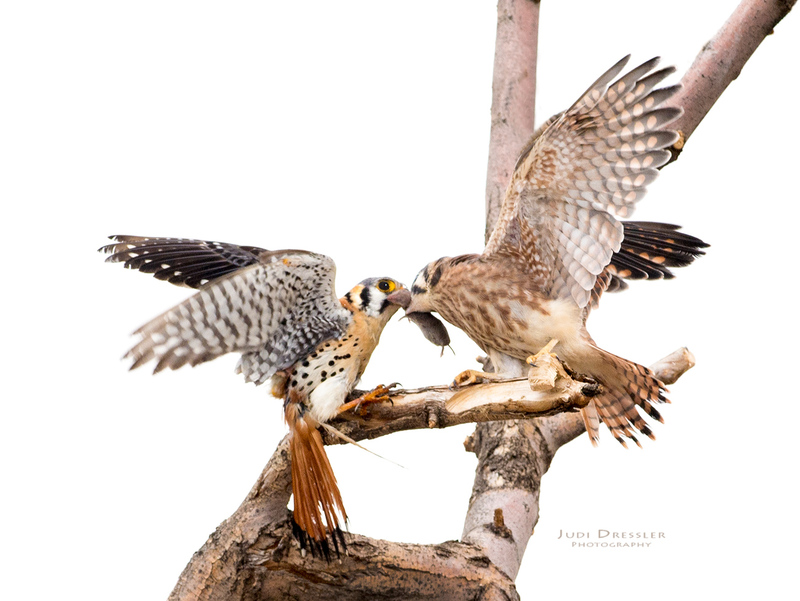 I photographed these American Kestrels in Brighton, Colorado, early in the morning on June 24th, 2017.